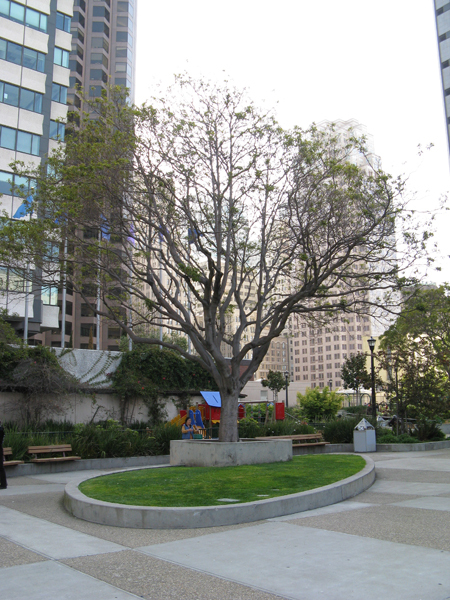 Designed in 1957, this rooftop park is situated atop a parking garage in San Francisco’s Chinatown neighborhood. At the time, rooftop gardens were promoted in the city by real estate developers as a means to maximize buildable areas, and were most often sited on two‐story, above‐ground parking structures. 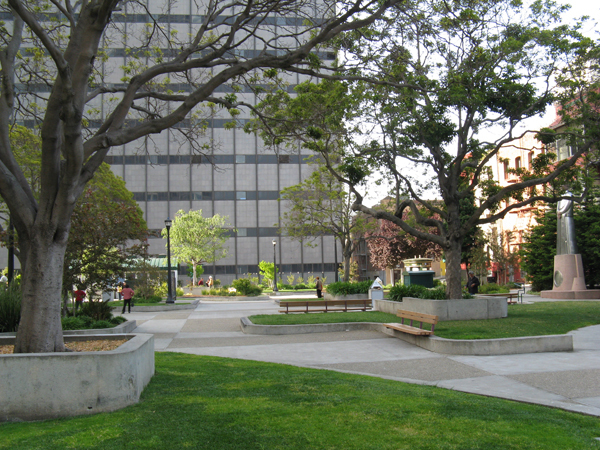 St. Mary’s Square was one of the first large-scale rooftop projects undertaken by Robert Royston, and entailed the replacement of a historic park above the newly-constructed parking deck. In his design, Royston obscured the rooftop’s rigid geometry imposed on the ground plane by using a playful grid pattern in two tones of concrete for the pavement and breaking up the pedestrian spaces using curved planting beds. 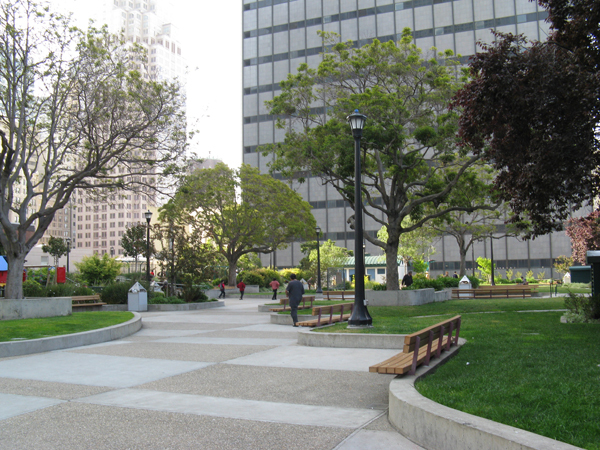 Low seat walls with benches define mowed lawn areas while raised planting beds support larger trees, shrubs, and perennial plantings. 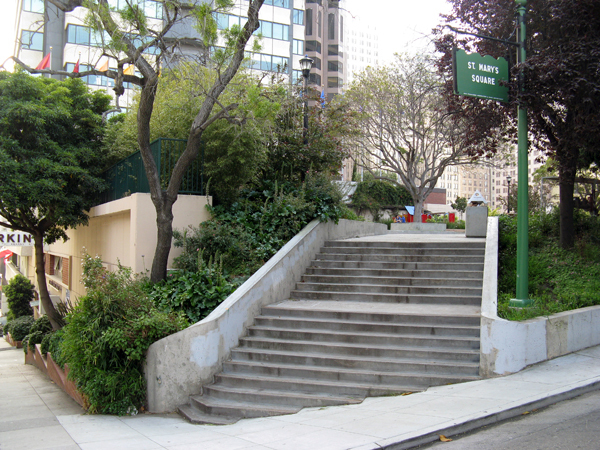 The park has access to the street via a wide concrete staircase on one end and an at-grade entrance at the other. 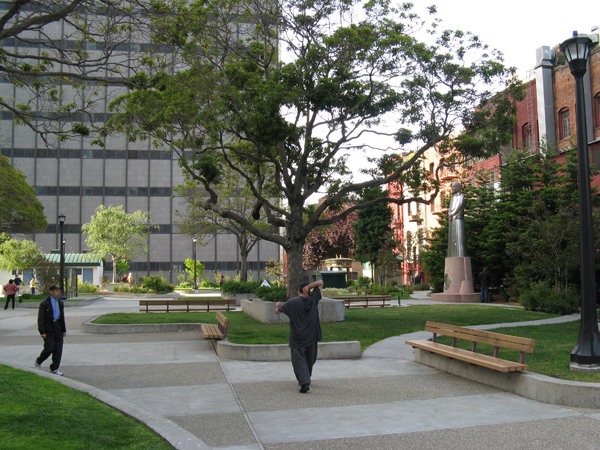 An existing row of poplar trees was retained as backdrop for the park, and a sculpture of Sun Yat-Sen by local artist Benny Bufano provides a focal point for the space. 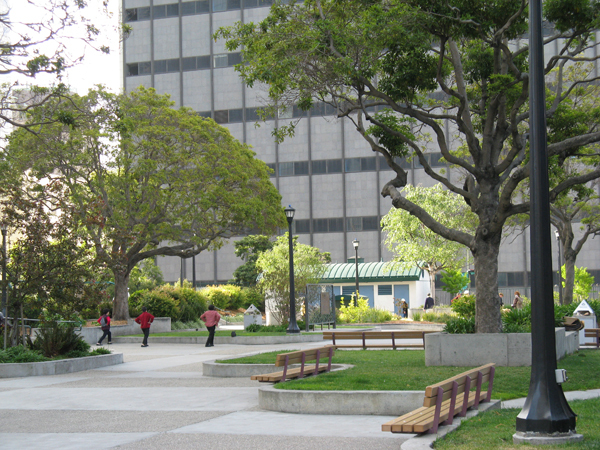 The park also includes a playground and refreshment stand.